Heads up Starbucks fans! 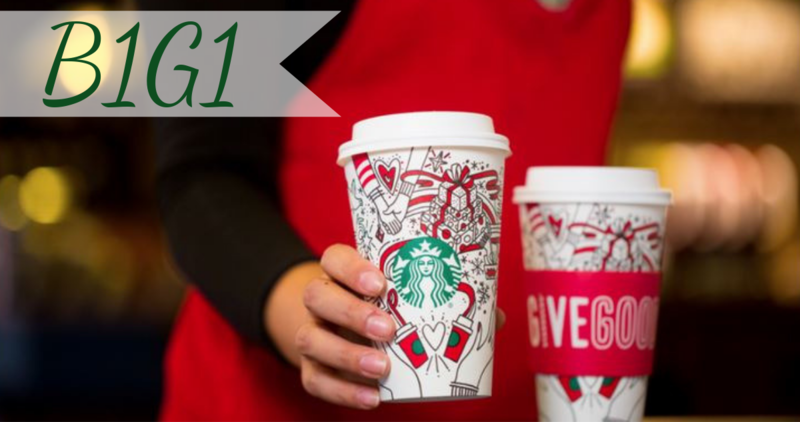 This weekend head to your local Starbucks starting at 3PM Friday to get B1G1 Grande or Larger Espresso beverages and Hot Chocolate! Note: offer excludes brewed coffee, ready-to-drink beverages and Starbucks Reserve beverages. It cannot be combined with any other offers, and is valid for one-time each day. Sign-up for the Starbucks Happy Hour event on their website or through the Starbucks app and show the code to your barista when you order to get this deal. This offer is only valid 12/14-12/16, and runs from 3pm to close.